Paula Begoun, also known as the Cosmetic Cop, has over 25 years in the beauty industry. Author of several popular beauty books, founder of healthy makeup line Paula's Choice, and creator of the popular web site Cosmetic Cop, Paula has a wealth of knowledge when it comes to makeup. Paula offers tips ons some of the most popular aspects of women's makeup: getting great lips and evening-ready eyes, concealing undereye circles, how to do your makeup when your short on time, and the best bag to stow your makeup in when you're on the go. LTK: You offer a comprehensive makeup line that is created to be healthy for your skin and reasonably priced. Are there any specific items you would recommend for women looking for a bit of' 'splash' to add to their evening makeup? PB: I love my two shades of red lipsticks, Celebrity Red and Red Carpet Red! But also because shine is just so wonderful in the evening, my Liquid Diamonds High Shine Lip Gloss works beautifully. LTK: Eye makeup is often used to create a great new look for evenings out. What colors of your shadow and liner are most popular for night? PB: A quick flip through any magazine, or a walk along any makeup counter showcases perfectly that anything goes as long as it looks gorgeous. Smoky eyes, charcoal brown or Graphite with our dramatic Constant Color Gel Eye Liner in Earthen, Onyx or Nightfall are some of our favorites. LTK: You are an advocate for healthy skin - in addition to a good skin care routine, what beauty secrets can help a woman look her best? Specifically, what do you suggest for dark/under eye circles or shadows? Using matte concealer to cover dark shadows. Use a concealor that's light enough to cover the shadows, but not too light as to create a white 'mask' around the eye. Avoid greasy eyeliner and mascara that can be easily smudged (which can exaggerate the darkness). Use only a small amount of powder to accent under the eye, or none at all. LTK: If a woman has five minutes to do her makeup, what basics do you suggest that will make her look polished in minimal time? PB: Concealer, foundation, blush, lipstick, and mascara! That will get a woman through just about anything in no more then 5 minutes! LTK: You have several different types of cosmetic bags available on your site. Which style would you recommend using for traveling to keep your cosmetics in top shape? PB: My Clutch Makeup Bag is the favorite. Women order these repeatedly because they are so convenient for the new travel restrictions. LTK: Paula, you suffered from acne in your younger years and worked as a makeup artist in your early career. Was there any "light bulb" moment of inspiration when you knew you wanted to establish the Cosmetics Cop website and your makeup line, Paula's Choice, or did it grow naturally out of your experiences? PB: I had lots of light bulb moments. Definitely after 15 years of analyzing and reviewing hundreds of cosmetics lines and thousands upon thousands of skincare and makeup products, the drive to create my own seemed like a natural extension of my work (sort of like when an actor wants to direct their own movie). I had been continually frustrated by the endless array of poorly formulated products or truly problematic products. In addition, even when I did find products that met my criteria for great performance they often fell short in other ways. 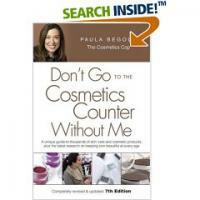 Paula Begoun is the author of several beauty books, including: Don't Go to the Cosmetics Counter Without Me, and The Beauty Bible. She also appeared on her own special on public television, The Cosmetic Cop with Paula Begoun. Paula cosmetics and skin care line, Paula's Choice, avoids unnecessary agents and uses high quality ingredients that are beneficial to the skin. 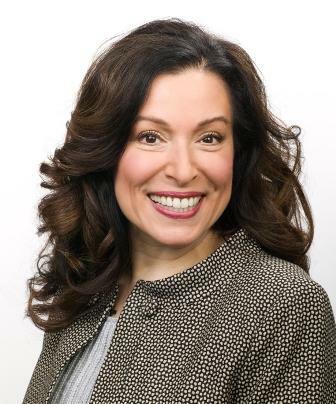 Paula has received incredible acclaim for her work, and has appeared on CNN, Oprah, The Today Show, 20/20, Dateline NBC, The View, and Primetime. Paula is committed to offering the best tips and information for women on her web site. She also offers the latest information on cosmetics and beauty products on the Cosmetic Cop sister site Beauty Pedia. For more about Paula, visit her complete bio on her web site.